Today marks the launch of the final downloadable content for Battlefield 3. While the community behind the game is enjoying End Game, it appears that a lucky few have stumbled upon what appears to be a teaser for a new game from DICE. 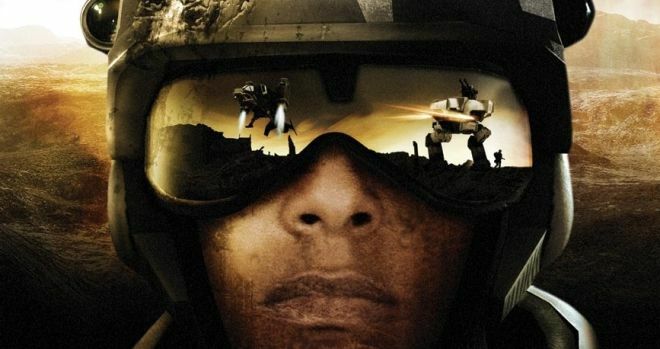 DICE & EA have already stated that Battlefield 4 would be having a beta that goes live this year, but long-term fans of the series have been wondering if Battlefield 2143 would ever see the light of day. YouTube user KingEmporerPure struck gold on what was just his second YouTube video today. His video showcases something that he & a few comrades found while exploring the outer limits of a map: a Battlefield 2143 vehicle hovering over the terrain. DICE has stated that Battlefield 4 would take place in a “modern setting”, leaving this tease to most likely be from Battlefield 2143. With the Bad Company series also being dormant for the past few years, it’s likely that EA & DICE could replace the now on-hiatus Medal of Honor series quite easily. I was outflanking the enemy in a game of Capture the Flag, on one of the new End Game maps, when I stumbled across this! Coupled with the 2143 that was spotted on a container on Kharg Island, I reckon the next Battlefield might be 2143. We’re extremely anxious to see if DICE is just pulling our leg with this latest easter egg, or if there’s something bigger in store here. What do you think DICE & EA are doing? Be sure to let us know what you think by leaving us a comment below, or discuss the Battlefield series in our forums.